The Bark Cutters by Nicole Alexander Sarah Gordon knows what she wants: the family property, Wangallon. She's a natural on the land but, as a woman, it's not her birthright. And when her grandfather passes management to Anthony Carrington, Wangallon's jackeroo, Sarah flees to the city. Eliza's Gift by Rachael Herron When Abigail Durant inherits a cottage from her friend Eliza, she sees it as her chance to start anew. Only problem is, the cottage is slap-bang in the middle of a sheep ranch owned by Cade MacArthur, Eliza's tall, dark and infuriating nephew. Cade's a man's man, a cowboy through and through, and he's none too pleased there's now a young – albeit very pretty – woman living on his property. In the course of her career Nicole Alexander has worked both in Australia and Singapore in financial services, fashion, corporate publishing and agriculture. 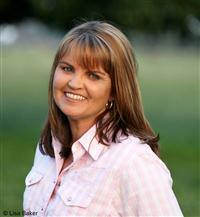 A fourth-generation grazier, Nicole returned to her family's property in the late 1990s. She is currently the business manager there and has a hands-on role in the running of the property. 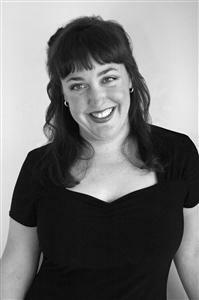 She is the author of three novels: The Bark Cutters, A Changing Land and Absolution Creek. Her next work, Sunset Ridge, will be released in September 2013. Rachael Herron lives in Oakland, California, with her family and has way more animals than she ever planned to, though no sheep or alpaca (yet). She learned to knit at the age of five, and generally only puts the needles down to eat, write, or sleep, and sometimes not even then.